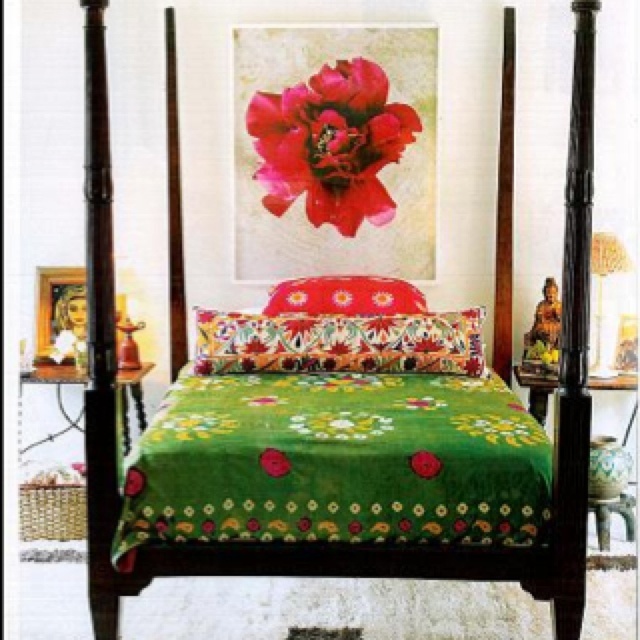 I have two home décor styles loves – bohemian and whimsical. I love the combination of both styles, but there are beautiful elements to both, and one may be the clear winner over the other – you decide. Images courtesy of my curation visit to Pinterest.com. This look really embodies a modern take on the whimsical look. The chartreus birds on the pillow is definitely whimsical. The colors is what gives this room a true whimsy vibe. Pink acts as the neutral in this whimsical room. I love the mix of styles – mid-century modern nightstand with a pink, ornate bed is a beautiful contrast of styles and what makes a room whimsy. 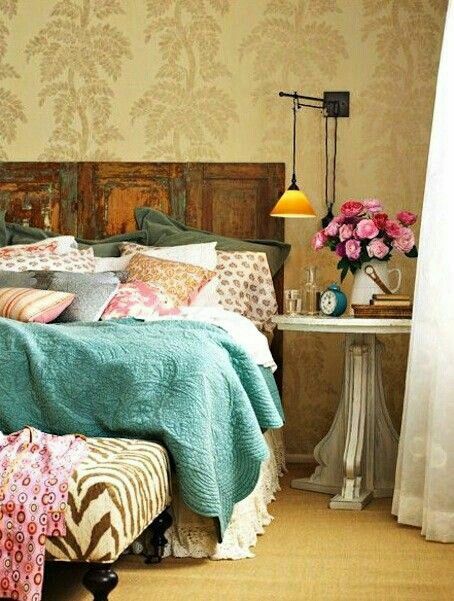 Love the headboard and the cow hide rug. 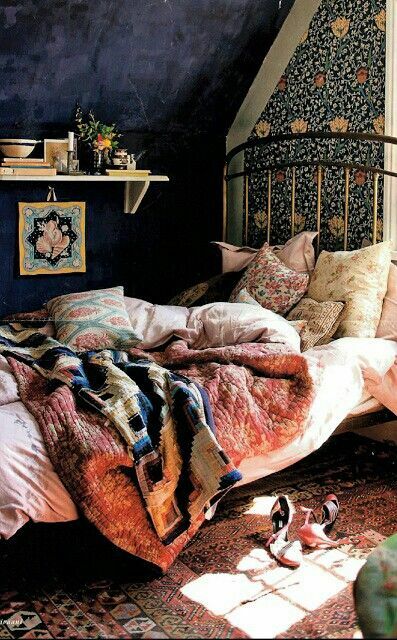 The dark navy walls envelops a person and an unmade bed invites long naps and cuddling. 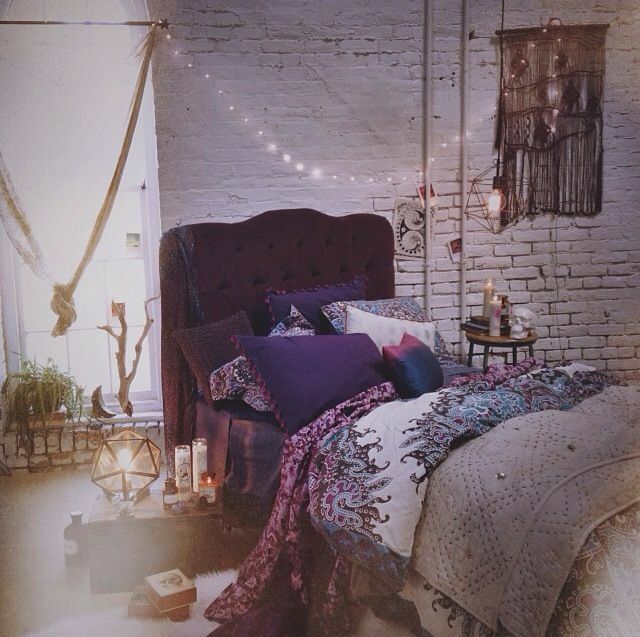 Moody purples, various shapes and textures and a tuft velvet headboard updates the boho look. I love the Eastern touches and the beautiful contrast of red and green. The dark lacquered four poster bed really anchors the colors in a modern way. 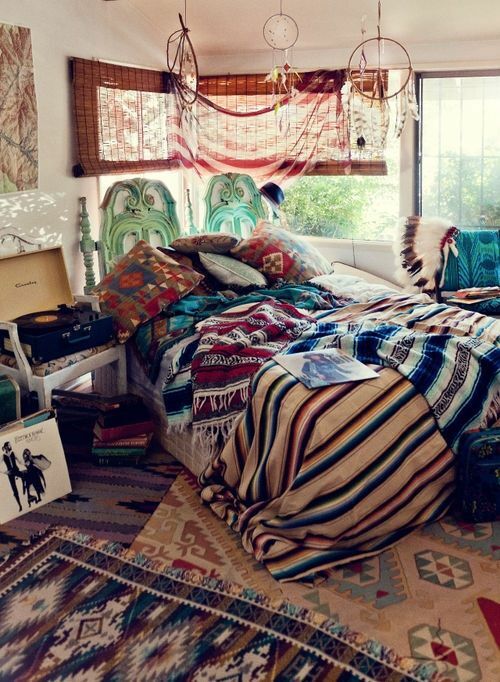 Real deal bohemian…what my dream Santa Cruz beach cabin would look like. The layers of rugs and textiles is what makes this look truly bohemian. And the Native American headdress and dream catchers is also a nice touch.